Mobile’s onward march is well documented. In a blink, phone penetration has reached a reported 6.8 billion (the population of the earth is 7 billion) and the next iteration of connectivity will see wearable devices shape a future that was unimaginable when the first text message was sent in the early eighties. But with mass adoption comes plenty of threats. Just like computers, viruses, malware, and hacking are a constant menace. Here Alexander Erofeev, Chief Marketing Officer at security specialists, and MEF member, Kaspersky Lab, shares his 10 insights on the size of the problem and how to stay vigilant. Technology develops fast. What seemed futuristic a few years ago has now become part of daily life. The rapid proliferation of mobile devices is one of these trends. But, new trends mean new threats. 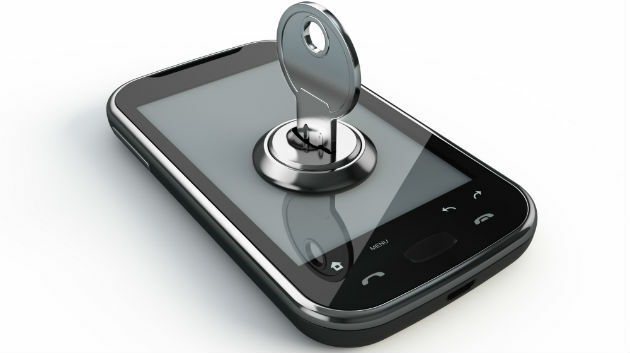 As mobile usage accelerates so do the number of threats targeting users. Last year Kaspersky Lab warded off 1,363,549 unique attacks on Android devices mobile – a fourfold increase on the previous year. Users need to understand these threats, because forewarned is forearmed. 1) The number of internet-enabled, ‘connected’ devices being shipped and sold worldwide is increasing dramatically. This is both driving, and driven by a change in the way we live and work: to be mobile and connected is becoming the new normal. 2) This has led to a proliferation in consumer and business-related mobile services, from social media, entertainment and banking to education, transport and healthcare, among others. Few areas of business, or life, remain unaffected by these trends. 3) People create, store on and share a lot of information over their mobile devices, and do not always understand what they are sharing or how it might make them vulnerable. 4) People who would never dream of connecting their PCs to the Internet without proper protection can regard security as an optional extra for their smartphone and tablets. Ironically, these mobile devices often store more sensitive information than the PCs do. 5) The growing dependency on the Internet associated with the rise of connected devices means that ever more personal information is stored online, and it can be easy to gather all that information and to create and use a fake ID. 6) Our children have never known a world without the Internet and they are very relaxed about security in digital world. Young people are an active part of the mobile world as and that can bring dangerous Internet content into the very heart of their lives. The potential psychological impact of cyberbullying and non-consensual sexting is serious and parent have a role to play in preventing this. 7) Personal data is personal, so the advice is very simple: think before share your private information as well as keep your user IDs and passwords confidential. Do not share them with anyone. In addition, do not allow anyone to use your mobile device or leave it unattended for any period of time. 8) Our digital lives are in our own hands, and right now, our ability and desire to use mobile devices far exceeds our willingness to protect them. We entrust our lives to something very small…but we need to give it the full-size protection it deserves. Do not forget to install updates as they come in and consider adding stronger Internet security software. Pay attention to the quality of your antivirus protection –independent evaluations can always help and their results are easy to find – as there are many products that promise protection but fail in tests. 9) Always be careful when making any financial transactions online – connect via a network you can trust, check the name of site and always keep your antivirus product switched on and ideally set to special financial protection mode. 10) Safeguard your children’s handheld futures: add special modules for their protection as Parental Control modules or specially created software which helps to keep them safe online.